I adore color, but – to be completely honest – I have always been quite intimidated by it. There are so many to choose from. What’s a indecisive girl to do?! You can choose color a lot of different ways. Sometimes, my color choices are as simple as two skeins of yarn that just happen to fall next to one another and look good. Other times, I’m more logical with my decisions. Colors work off of one another. They reflect light in different ways and when worn on the body, bring out different qualities. White yarns reflect light. Intricate stitch patterns show up beautifully in lighter yarns whereas they can become lost in very dark yarns. Skin tone is another important consideration for color. We all have different hues to in our coloring. Some are pretty rosy and others more of an olive tone. It’s natural to want to choose a color tone that is complementary to your own. Personality also dictactes color. Shy and quiet? You might be like me and like all colors as long as they are soft. But then again, I am a sucker for hot pinks and embroidery in every shade under the sun…so there’s an exception to every rule. I think every color has a hue or shade that works for someone. Go by your instincts. Pay attention to how you feel in certain colors…if you burst into a smile, you are doing something right. What influences your color choices? I try to go with colors that make me smile whether I am knitting for myself or others. Case in point was a cowl made for a friend who loved green. Hmmm. I am not much of a green person. After looking at all the greens, I found one that I thought she would really like and I also would enjoy knitting. We both were happy in the end. My biggest color problems are for men. I am never sure what they will like (or even if they will like a homemade gift!). Now picking the right fiber content for the project and is something that I really struggle with! That is a good point! Even if the hand made gift is not for you, you should love the color too since you are the one working with it! Hi! 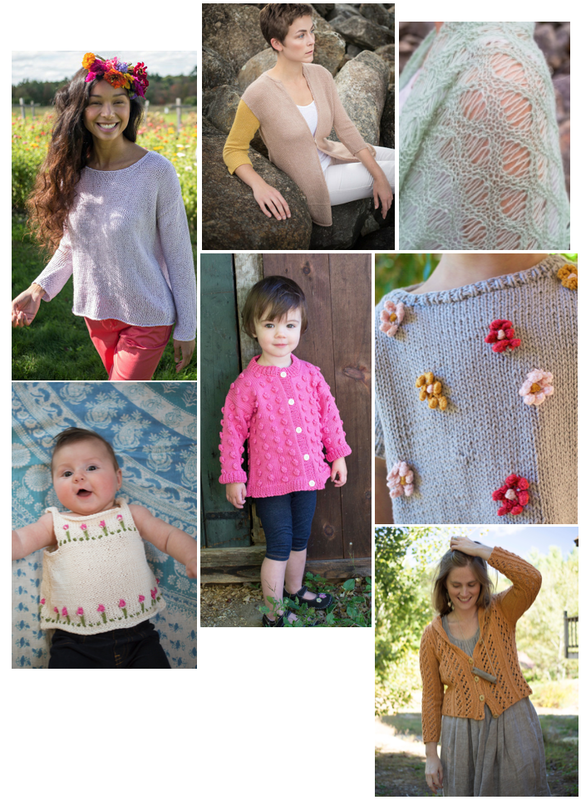 Halstead’s pattern is just in written form, but if you contact Alison Green at patternsupport@berroco.com she will be happy to help you!